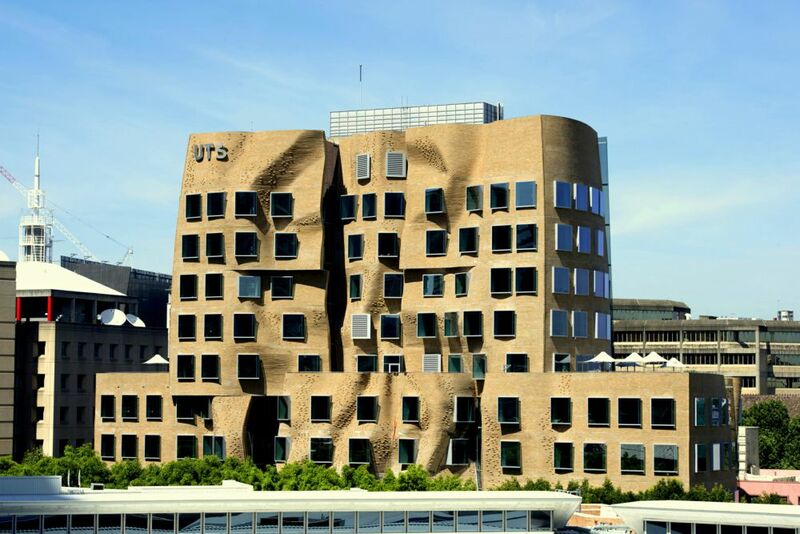 Clay brick may be accepted as a conventional building material, but the Dr Chau Chak Wing Building of the University of Technology Sydney Australia shows that it's modular nature makes it the ideal building material for unconventional structures. Only clay brick could handle this sculptural, twisting tower of endless folds, dips and curves. Made up of 320,000 individually lain bricks, this material choice relates to the history of this suburb, which is dotted with old industrial brick buildings. Five brick shapes will be used, each with a specific function for the facade ''which does not have one straight line''. The ''K-brick'', for example, has been designed with an angled protrusion to create the required bends and shadowing. 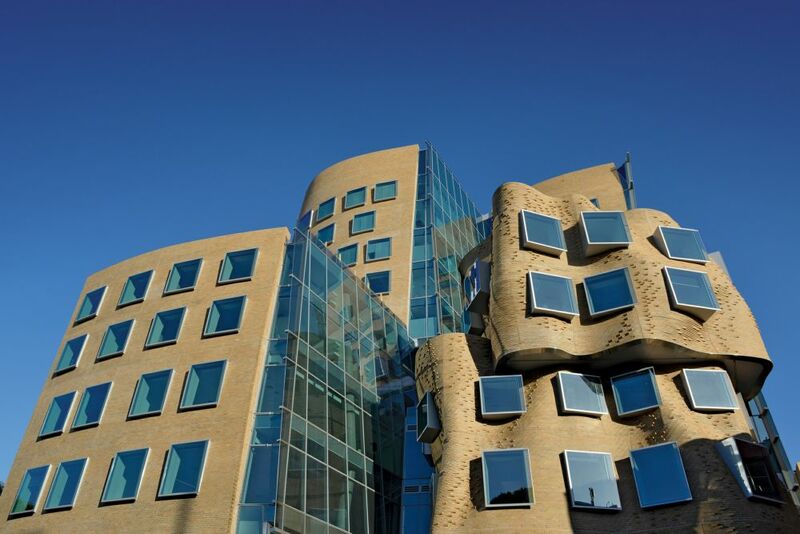 Designed by Canadian American architect Frank Gehry, the 12-storey tower provides teaching, learning, research and office accommodation for 1,300 students and 300 academic staff. The Building design is based on the idea of a tree-house structure, although it has been referred to as "the most beautiful brown-paper bag ever". 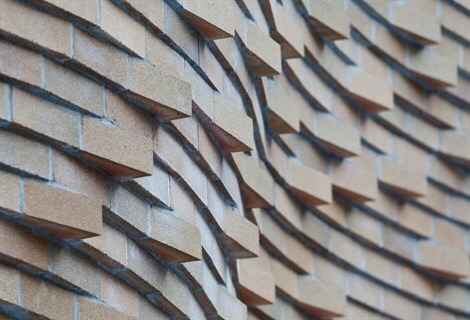 Achieving the fluid appearance of the brickwork proved a technical feat that involved corbelling (stepping) individual bricks to articulate the building’s organic shape. The light-coloured bricks – around 320,000 in total – were custom made for the building and reference Sydney’s sandstone heritage. Clay brick is one of the few building materials that can complement both classic and contemporary architectural styles. The brick works well with other natural materials used such as the laminated timber beams from New Zealand and is a foil for the sculptural polished stainless steel staircase in the main lobby. Mr Gehry is the designer of some of the world’s most famous modern buildings, including the Guggenheim Museum in Bilbao, Spain, and the Walt Disney Concert Hall in Los Angeles. 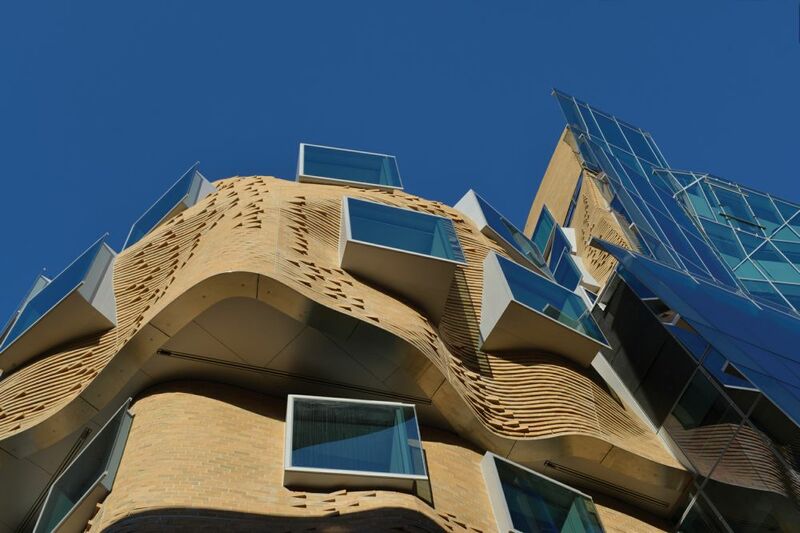 At the buildings opening, Architect Frank Gehry said that he was inspired by Sydney's nineteenth-century architecture, which he prefer to its newer glass-dominated buildings.